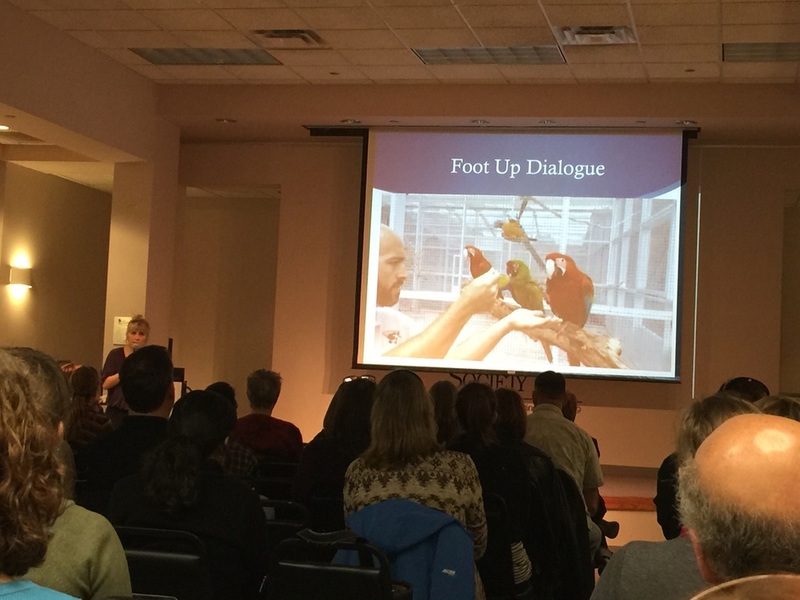 What do you get when 7 animal behavior experts in one room with animal-lovers? You get PAWSOME. Ohhh yes, I said that. 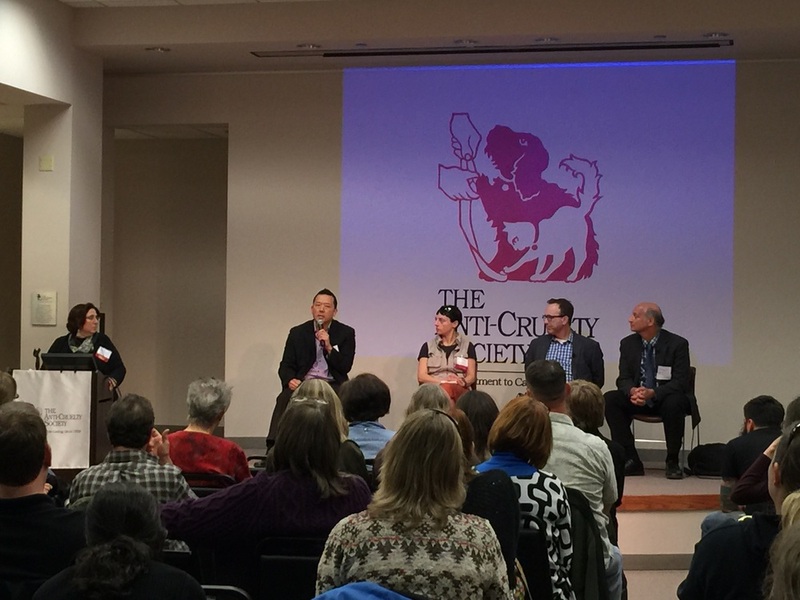 Thanks to the IAABC, The Anti-Cruelty Society of Chicago, and the hard work of many individuals, this event was successful. I was extremely impressed with the quality and integrity of the presenters. Most tips are either specifically for dogs or can be applied across many different species. Many of the suggestions I plan to try right away on my somewhat-willing domestic felines. Enjoy the highlights below! It is a misconception that stray animals are the largest reason that our shelters are busting at the seams. The largest problem is the relinquished animals crowding shelters. 1 cat or dog is euthanized every 11 seconds in a U.S. shelter. 7 out of 10 dogs make it out of a shelter alive. 4 out of 10 cats make it out of a shelter alive. 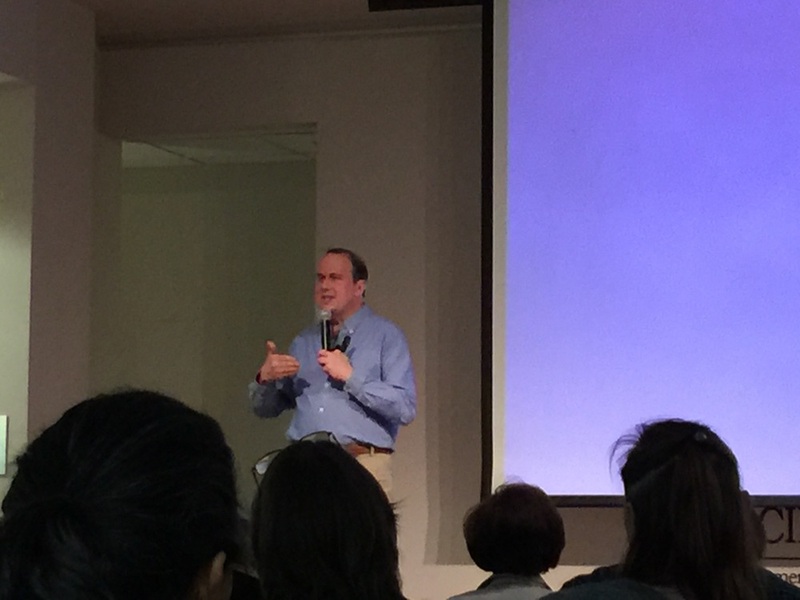 Steve Dale presented to us all when we were bright-eyed and bushy-tailed on Saturday morning. If submissive behavior signs are ignored by the dominant animal (humans included), dog will resort to aggression. If the dog looks like it's giving you a very large toothy smile, the dog is showing fear. If the dog only shows its front teeth and canines, the dog is showing confidence. Any uncontrolled environment (yes, your friend's kids coming over does count!) with a fearful dog is an extremely bad and dangerous idea. Ask yourself, "Does this dog perceive this situation as threatening?" Ever heard someone say, "The dog is trying to protect me." Wrong. The dog is hoping you will protect him/her. Not all resources are equal to that individual dog. Dog A can be dominant over Dog B in Room 1, but Dog B may be dominant over Dog A in Room 2. Dominance is relative. Don't give the dog a reason to feel like its resource is being threatened. Hypersalivation symptom is only seen in dog separation anxiety. Separation anxiety is not a result of boredom. Most solutions are complex and time-consuming, but possible. Always give the animal a choice to participate in training. Go on happy vet visits to promote fear-free outings. Play ping pong with your clicker cues to "hide" cue that includes medication. Laura describing the excitement for a successful foot up cue! A veterinary behaviorist is a veterinarian with board certification in animal behavior. Their names are followed with the abbreviations DVM DVACB. They can diagnose and medicate, if needed. A parallel to the human world would make a veterinary behaviorist, a psychiatrist. A certified behavior consultant is not a veterinarian, but can guide and advise on behavior modification. A parallel to the human world would make a certified behavior consultant, a psychologist. The main difference is that a psychologist must have a degree, where a certified behavior consultant is a result of documented peer-reviewed proven-effective work experience, not a degree. 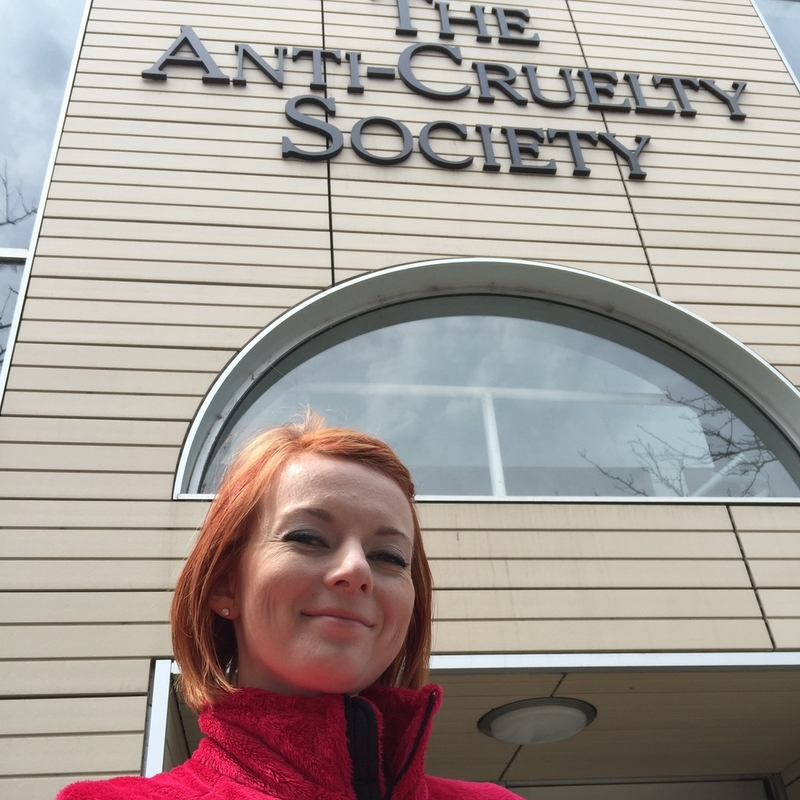 The consensus was that all animal behavior professionals need to work together as a team towards the big picture, which is to reduce the number of animals relinquished to shelters or euthanized due to behavioral issues. All behavior professionals should be communicating closely to provide the best care for the animal. More awareness of identifying behavior issues, fear-free behavior modification methods and successful results should be the end goal for all animal behavior professionals. Animal behavior professionals need to realize that each of us cannot wear all the hats, otherwise each of us may fall into compassion fatigue. This is unhealthy and can lead to depression. It is important for all parties to work as a team and support one another. Lips sealed regarding this research until the company that supplied the grant gives permission to share. I will say that it was quite fascinating what Ken and his team of expert trainers were able to do with a highly aggressive dog that was confiscated from a dog fighting community. Ken just finished his presentation which I cannot share the details of yet. Ken covered the varied cues that can be used in exotic animal training, as well as domestic animals. Keep Going Signal aka Bridge - Usually not needed but does work. Jackpot - Works if used very sparingly and delivered quickly. No Reinforcement Marker - Rarely works due to being a conditioned punishment. Time Out - Only effective if animal leaves you, then you leave, so when the animal returns, it finds the positive reinforcement (you) is no longer available. The animal will wish it never left. Least Reinforcing Scenario - Works if neutral response is correctly executed. Redirection Strategies - Definitely works. Recall Signal - Works and should always be reinforced no matter the context. Its purpose is to use during a crisis. Think of a house fire and you want your animal to come IMMEDIATELY. End of Session - Large debate over usage. Doesn't make or break a training program. Every person utilizing them needs to understand each specialized use and the practical application of it. Selfie infront of the entrace to the shelter. I did squeeze in dinner time Saturday night with two of my college friends who now live in Chicago. So fun! Gino's East was down the street from the shelter. They had this life-size horse statue outside of the restaurant, so of course, what did I do? II took a selfie.